Every year, the FeelUnique 12 Days of Beauty Advent Calendar features on my Holiday shopping list. Here's what I got in my calendar for 2016, and here is my 2015 calendar. The calendar costs just £35, and contains 12 products, of which a very generous six are full-sized. For the last two years, they've had a very interesting "star" product, which has ranged from a full-sized eyeshadow palette, to a full-sized lipstick. This year, the star product is indeed a full-sized eyeshadow palette. Scroll down for the full contents of the FeelUnique 12 Days of Beauty Advent Calendar for Holiday 2017. 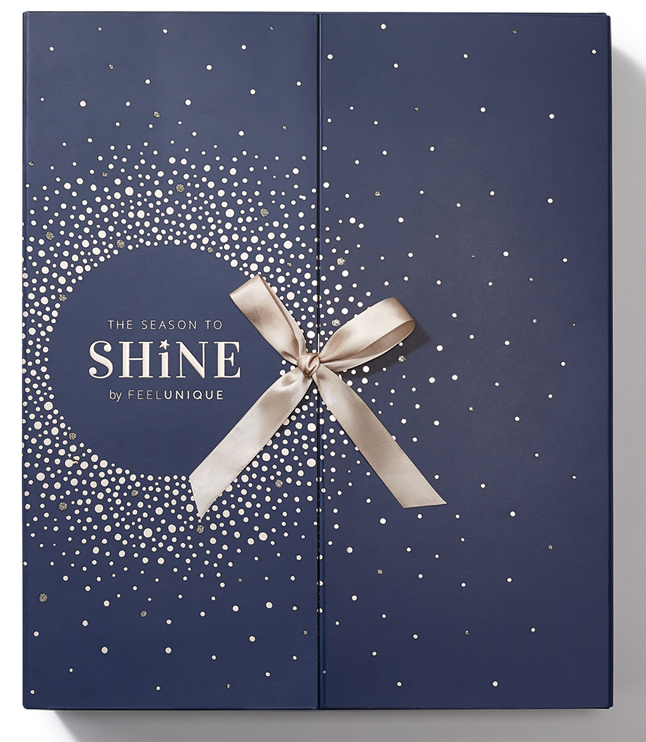 The packaging is different from the two previous years' - this time, a gorgeous midnight sky gold stars dotted all over opens up to reveal 12 doors. So here's my full unboxing and review. Please give my video a thumbs-up, and please do subscribe to my channel. All that swag, for just £35 - what's not to love? I've ordered mine and will be unboxing it on my YouTube channel - do subscribe here, if you haven't already. Apart from a 50-50 division of full and sample sizes, I also love that there are five makeup products, three skincare products, three hair products, and one bath and body product in here - a very fair division of the loot. I think the 2017 FeelUnique Advent Calendar is even better than the 2016 and the 2015 versions, thanks to so many full-sized products, and that beautiful Rimmel palette. That said, I do wish they would lay off on the Roger & Gallet Shower Cream. Receiving the exact same product three years running is a bit tedious - even though this Advent Calendar is completely worth it, I would love to see something else in place of the shower cream next year. 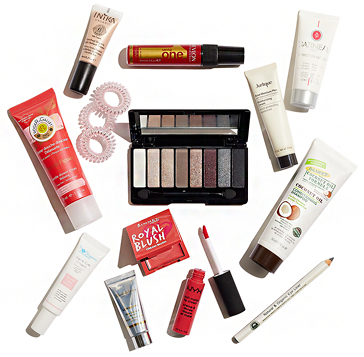 To get your FeelUnique 12 Days of Beauty Advent Calendar for Holiday 2017, go here. It costs £35; they ship worldwide. If you are adding it to your shopping cart, code SPELL15 gets you 15% off eligible items. This one should fly off the shelves, so get yours rightaway!